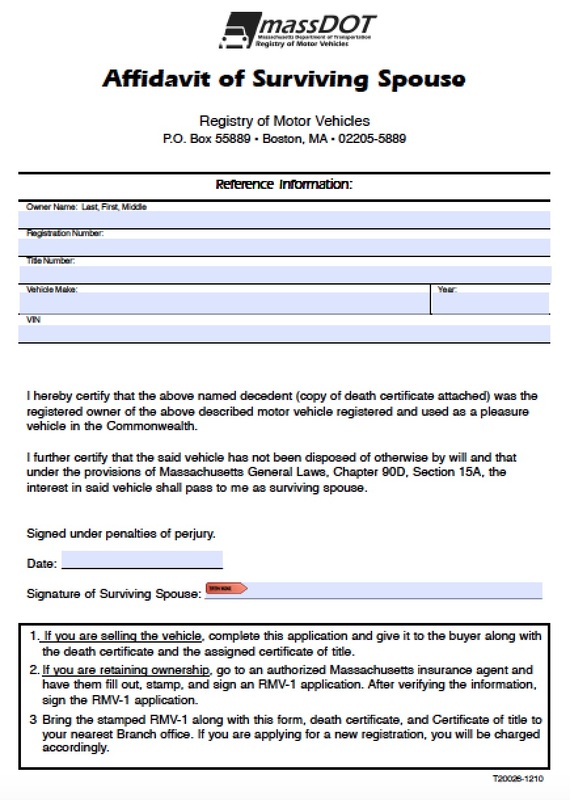 When 30 days have passed after the death of a loved one who resided in Massachusetts, the successors may file an affidavit of heirship to collect the decedent’s personal property. This property includes bank accounts, heirlooms, vehicles, 401(k)’s, and any other property that may have a high value. However, the property may not exceed $25,000 in value or it will go automatically to probate court for administration. 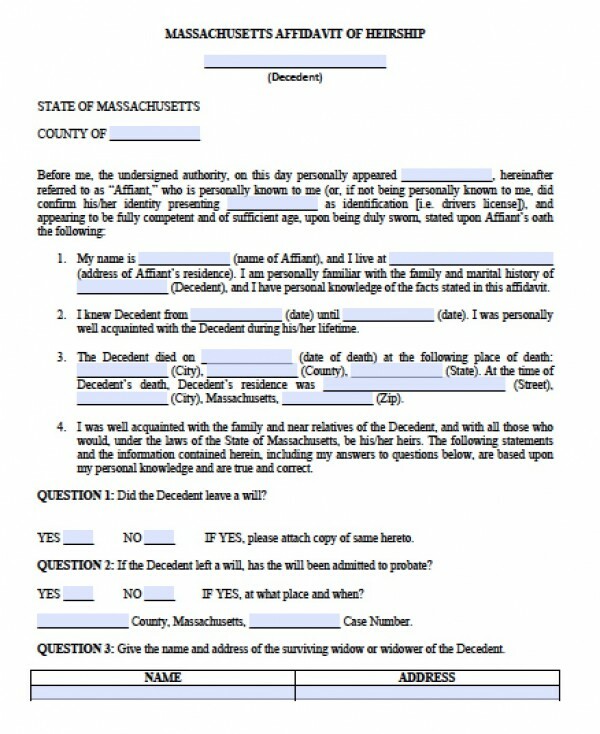 Massachusetts statutes Mass. Gen. Laws Ann. 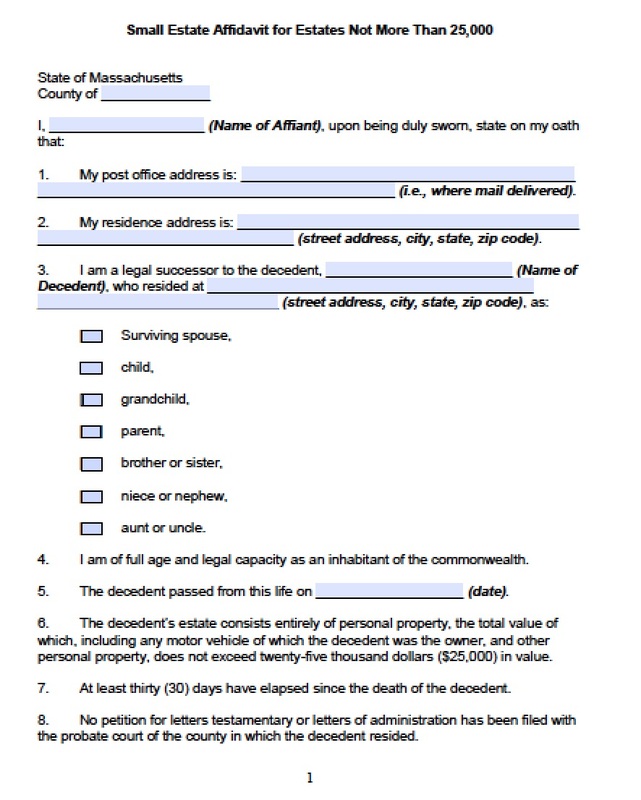 §§ 3-1203, 1204 cover the details of affidavits of heirship.